The Baxter Robot SDK has seen a recent update to the new SDK 1.1 to make Baxter compatible with the latest release of ROS Indigo. There are also upgrades to the Joint Trajectory Server, resulting in smoother and more accurate movements for Baxter’s arms, and support for 3D Sensors, such as the Kinect camera, through RViz and MoveIt!. 3D depth sensor support through RViz and MoveIt! Rethink Robotics have used feedback from the Intera 3 software release for the Baxter Manufacturing Robot to implement more fluid movements to increase overall speed. 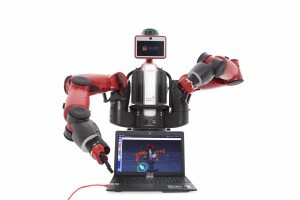 For more information about the SDK 1.1 release please refer to the Rethink Robotics Wiki.